On Wednesday, 31 student interns participated in the first ever Simmons Intern Community Involvement Day, a day for summer interns to volunteer in the local community. 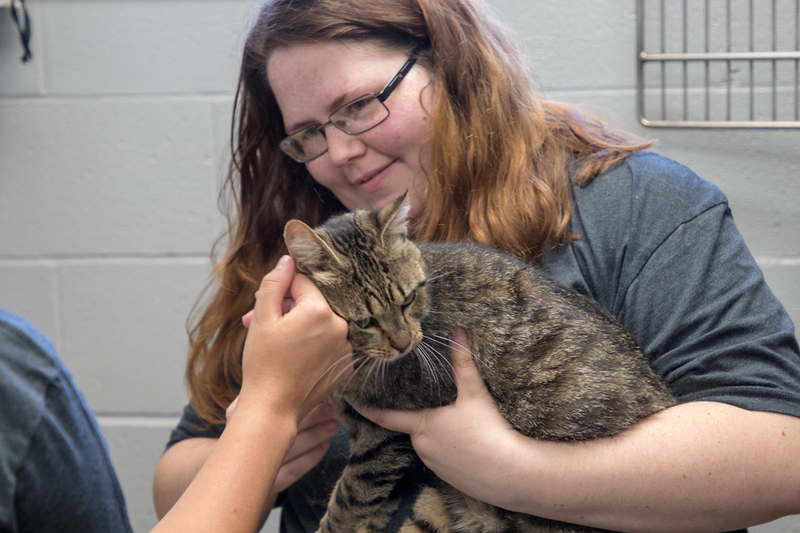 Interns in Siloam Springs volunteered their time to a local animal shelter through Tailwaggers. Tailwaggers is a non-profit organization devoted to improving the lives of pets and their owners through education, spaying/neutering, and fostering and adopting abandoned, abused and neglected animals. The interns consolidated 13 pallets of dog treats into small containers, painted dog houses and walked the dogs. Interns in Van Buren volunteered their time with Lincoln Childcare, a non-profit in the River Valley area that provides extensive childcare and pre-school programs focusing on children of low-income families and full-time students. The interns played games, read books, and made crafts with the kids. View more photos from the Community Involvement Day below.